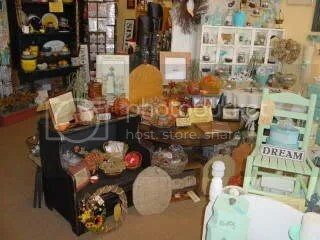 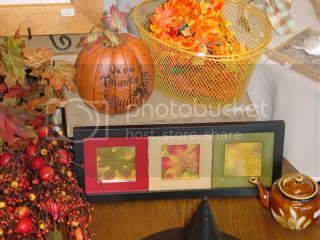 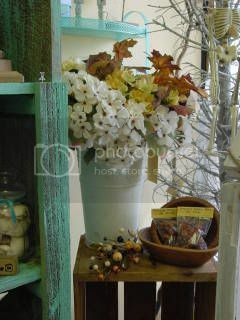 Traditional and not-so-traditional fall colors are scattered throughout the front of the store. 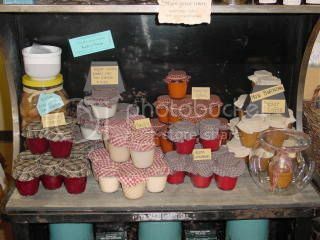 Yummy smelling little jar candles in pumpkin spice, sparkling cider, apple cinnamon, cranberry orange, sugar cookie, butter toffee and vanilla. 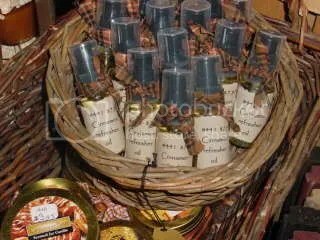 Cinnamon refresher oil for your potpourri or rosehips. 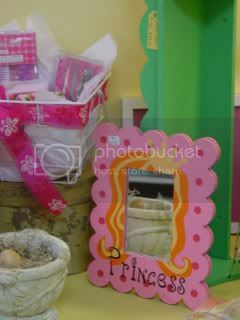 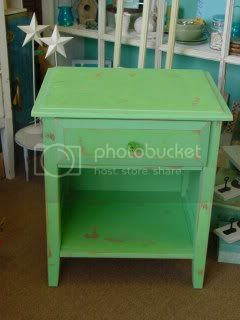 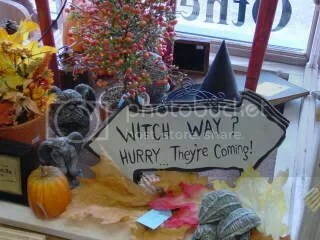 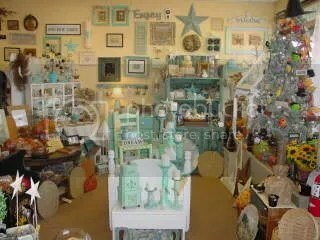 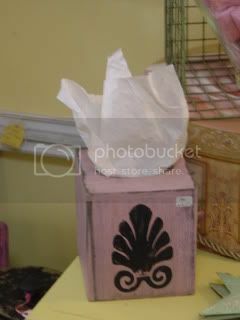 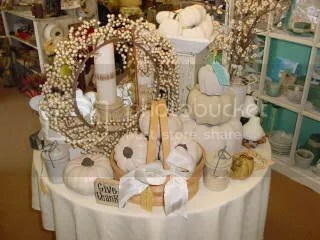 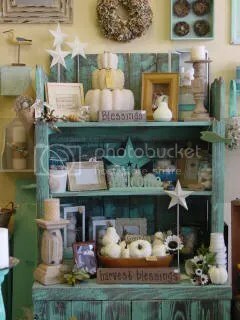 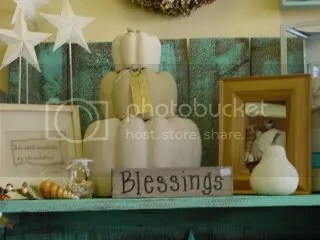 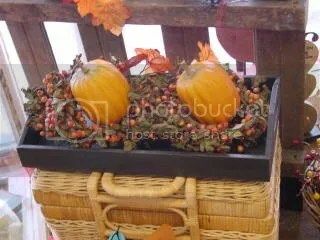 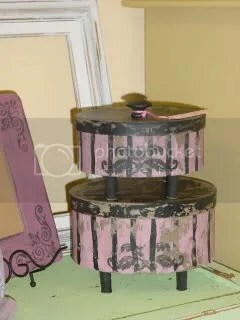 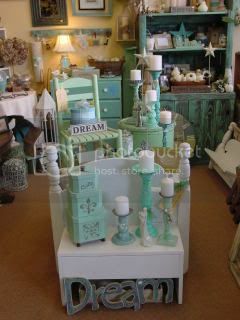 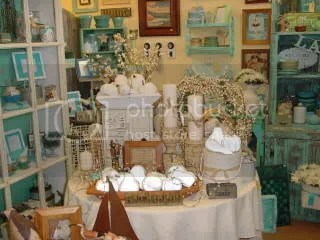 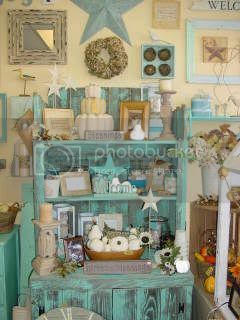 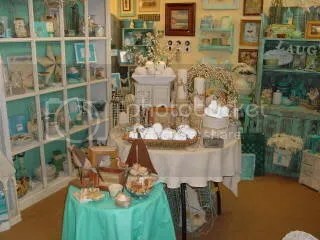 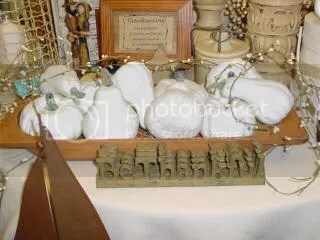 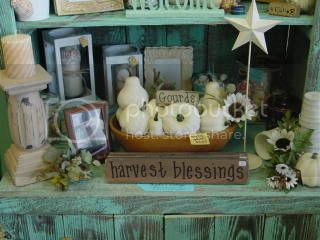 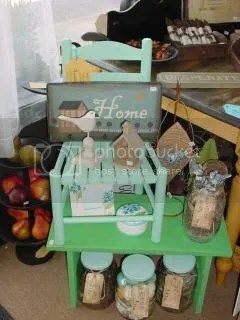 Here is a picture of the white/cream harvest display in the center of the beach cottage section in the store. 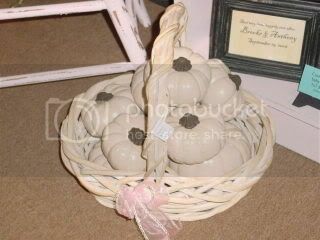 You can’t really see it in the picture, but these assorted white gourds have a ‘sugared’ looking coating on them. 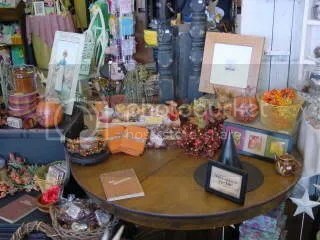 And the back side of the table.